This is a tense, sharp-witted and highly entertaining play. by clever Aussie playwright Joanna Murray-Smith written in 2014. It offers a glimpse into the private world of the author Patricia Highsmith, (Strangers on a Train, Carol, Mr Ripley) who chose to live the last twelve years of her life as a recluse in Switzerland. Patricia is played magnificently by Catherine Downes who brings the perfect acerbic tone, calling a spade a spade to its face, and fawning over her scary antique knife and gun collection. Its full of caustic witticisms like “Argh happy people! They are only happy because they don’t ask enough questions”. There is a WTF! moment in the last part of this play, so it would be good to take someone you can have a good post-mortem with as this is a play that needs to be discussed. Thank you Circa for a great night out! 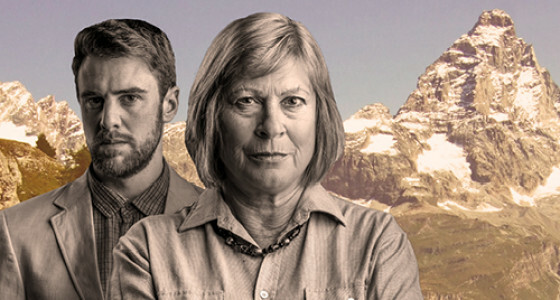 Celebrated crime writer, Patricia Highsmith is living hidden away in the Swiss Alps and refusing to contact her publishers who are urging her to write another in the best-selling Ripley series. A mysterious young man appears unannounced. Will her love of fictional murders become a dangerous reality? What first appears to be a standard cat-and-mouse game soon becomes a dance to the death. Who is the cat and who is the mouse? And…who will make it out of Switzerland alive. Original generation time 1.4219 seconds.